In the ear of 2001 Timo was living in this suburb. It's called Rastila and it's located in the very East of Helsinki. Behind the shopping centre here is the metro station. From there it took about 25 minutes to ride to the centre where he used to work. Name of Timo's home street was Meri-Rastilan tie. 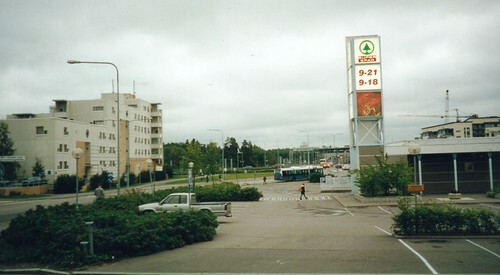 In the year 2001, before moving to Singapore, Timo was working near this place in the very centre of Helsinki, capital of Finland. 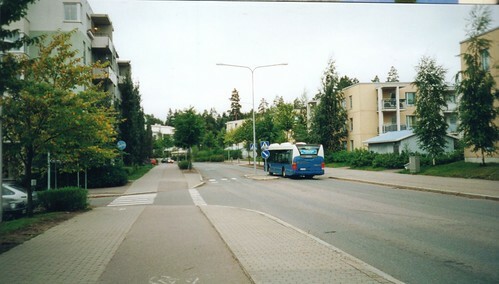 Address of his office was Mikonkatu 15. From the office window he could see the railway square. 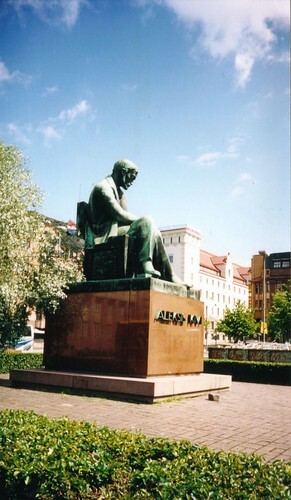 In the other end of the square is this statue for the Finnish national writer Aleksis kivi. It's in front of the Finnish National Theatre. On his summer holiday Timo made a train and bike trip to the North. He saw these lovely cows in Lumijoki on his way cycling from Oulu to Raahe. Near Raahe there is the village called Saloinen from where his mother's family has been living for centuries. Centre of a Finnish village (parish) is traditionally the Lutheran church. In Finland the state and Lutheran church have a strong connection, as it is in other Nordic countries and has been in Germany too.